Let’s face it: We all know that most infomercial products don’t live up to the hype. In fact, many of them are just well-packed scams trying to get your $20. And because we know this, we tend to ignore all As Seen On TV products because we assume none of them work. But despite the screaming pitchman and the too-good-to-be-true testimonials, some infomercial products actually work. To help you make well-informed buying decisions, I’ve come up with a list of some of the best-performing infomercial products. 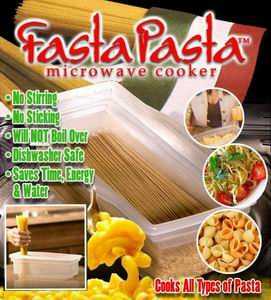 • Fasta Pasta—Like its name implies, Fasta Pasta is designed to help you cook pasta faster and easier. You simply measure the pasta, add water, and cook it in the microwave. In many instances, Fasta Pasta cooks pasta twice as fast as it’d take if you were to boil it on the stove top. And believe it or not, most pasta actually tastes pretty good when you cook it with Fasta Pasta. For the most part, there’s no stirring with Fasta Pasta, and you don’t have to clean a lot of dishes or worry about your water boiling over. At under $15, this is a pretty good deal. 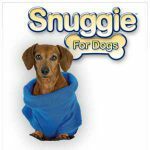 • Snuggie for Dogs—Okay, so you probably remember the Snuggie craze from last year, and you might be rolling your eyes at the thought of a dog wearing a Snuggie but hear me out. For small dogs that aren’t built to withstand the cold, I think the doggie Snuggie is the perfect solution. It’s much easier to put on your dog than a typical sweater, and it doesn’t seem to itch my dog like other sweaters. 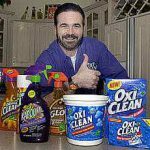 • Oxiclean—When you think of Oxiclean, you probably think of the late Billy Mays screaming about how this product gets any stain out of clothes in the wash. Well, it appears Billy was telling the truth, because millions of people swear by Oxiclean. I’ve used it on a few occasions, and it has gotten the stains out while being gentle to the clothing. If you have kids who like to make a mess on their clothes, you should consider trying Oxiclean. Whether you want to buy the products listed above or some other infomercial products, you should always proceed with caution and common sense. Here are a few tips you should follow when buying infomercial products. These could help you save a lot of money and headaches. • Read online reviews—Never trust the pitchman or the “real life customers” who claim the product works wonders. Always do your research before buying. I recommend hitting the internet to look for reviews submitted by real users. When reading customer reviews, never take any single opinion too seriously. Instead, read a lot of reviews so you can get an idea of the general consensus. • Make sure you understand the return policy—A lot of infomercial products claim to come with money back guarantees, but there’s always restrictions and a lot of fine print. Before buying, always make sure you fully understand the return policy so you don’t have problems later on should the product not work. • Beware of shipping and handling costs—While the $19.95 price point seems attractive, it usually doesn’t tell the full story. Many infomercial products come with exorbitant shipping and handling costs that can milk another $10-$20 out of you. Pay attention to the fine print before buying! • Try to find the product in a local store—A lot of infomercial products are now available in local grocery and department stores. There are a couple of advantages of purchasing these products at a local store rather than over the phone. First, you eliminate the costs of shipping and handling. Second, you can simply return the product for a full refund at the store if it doesn’t work, rather than dealing with trying to get your money back over the phone. Which infomercial products have you had success with? Share your favorites by leaving a comment.